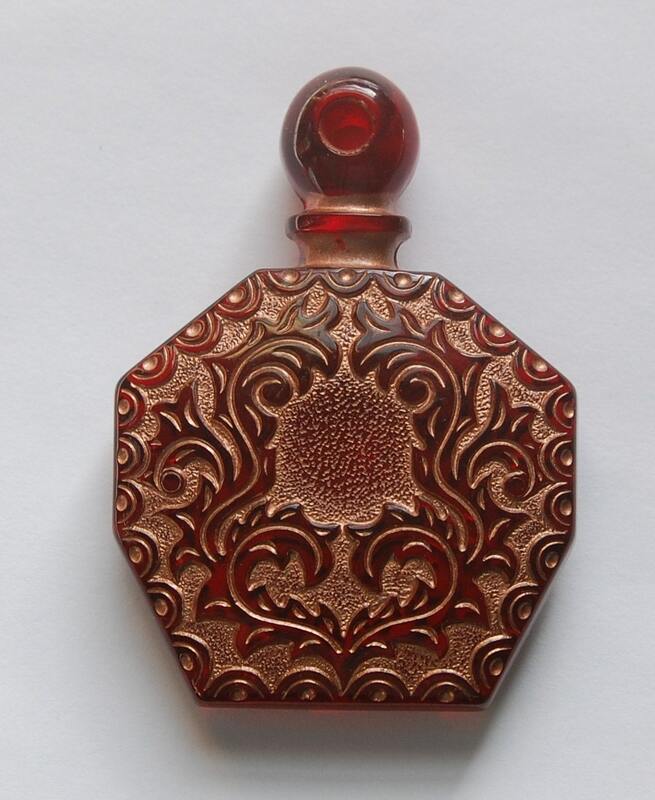 This is a beautiful vintage etched bottle pendant. This lucite bottle has an etched design on both sides. In the center on both sides is a slightly indented circle you could mount a stone or cameo on, but you certainly don't have too. The recessed areas around the design have been detailed in a copper color. This does not open. This measures 55mm long x 40mm wide x 8mm deep. You will receive one of these.